October 28, 2014 By Allyson 3 Comments This post may contain affiliate links. Read my disclosure policy. 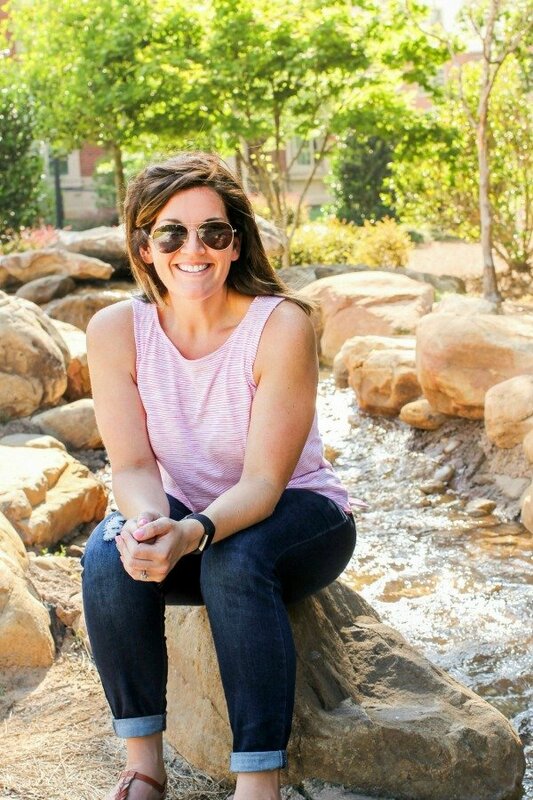 Being a busy mom and wife, I often look for quick and easy ways to reduce dinner time prep, without sacrificing food quality and taste. By the time I get home from work in the evening, the last thing I want to do is spend an hour cooking dinner. That’s one reason I love Imagine® Organic Culinary Simmer Sauces. They are super quick and convenient, and their flavors are spot on. They have four different types of sauces – Portobello Red Wine, Latin Veracruz, Thai Coconut Curry, and Louisiana Creole. 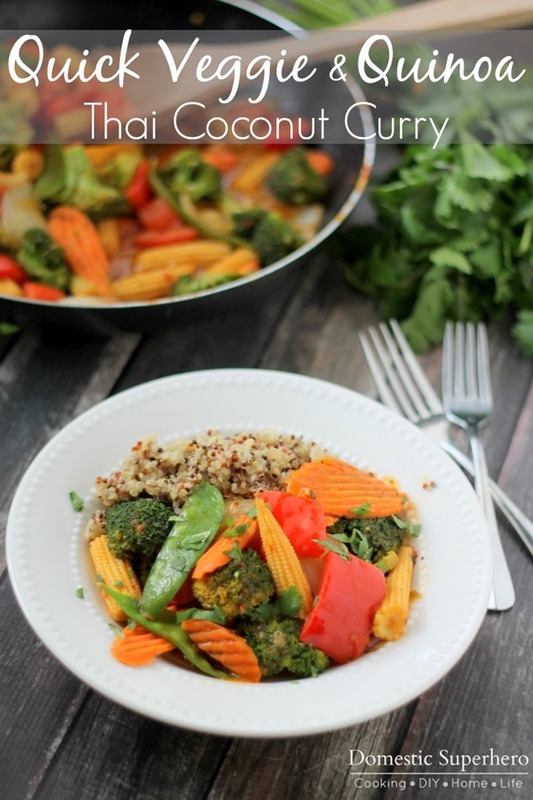 For this easy recipe I decided to use the Thai Coconut Curry Sauce because we love curry! These sauces are the first simmer sauce in a pouch that is certified organic and it has no genetically engineered ingredients, no preservatives or artificial ingredients, no added MSG, it’s gluten Free, and vegetarian. This is the type of sauce you can actually feel good about eating! This recipe is very versatile because you can use whatever veggies you have on hand, and then all you do is add the sauce! I love baby carrots and broccoli in my curry, so I was sure to pick those up and then I used left over veggies for the rest. It takes 10 minutes to cook this up, and you don’t have to dirty a bunch of dishes either, because everything cooks in one pan. I decided to use quinoa to go along with this curry instead of rice because I had been dying to multicolored quinoa. It actually went really well with the dish and quinoa adds a lot of protein to this meat-free meal. 1. In a large pan/skillet, spray with nonstick spray, and add carrots, red peppers, and onions. Stir fry for 2-3 minutes over medium/high heat. 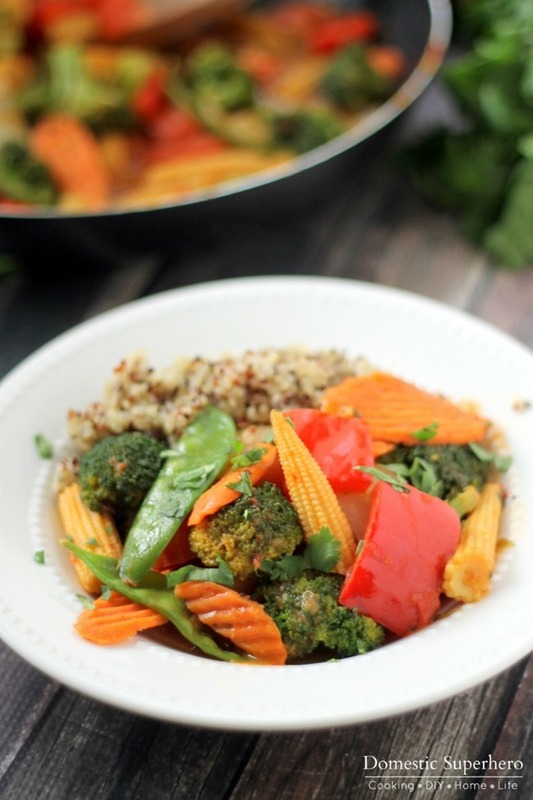 Add broccoli, baby corn, and snow peas to the pan and stir fry an additional 2 minutes. 2. 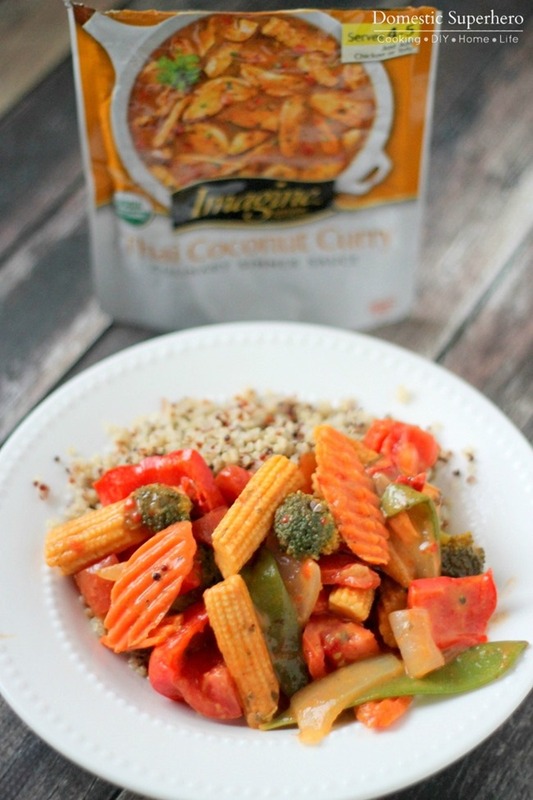 Add Imagine® Thai Coconut Curry Simmer Sauce, stir, and then cover pan. Reduce heat to medium and cook for 4-5 minutes or until vegetables are cooked through. 3. 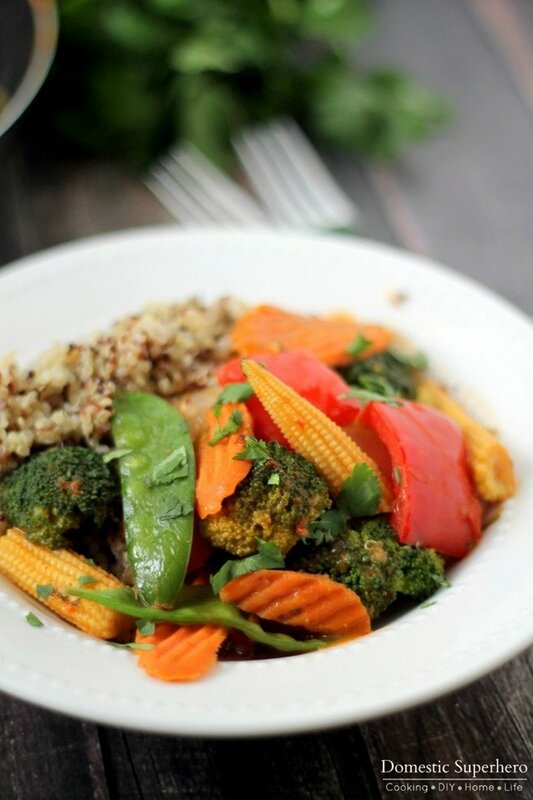 Add 1/2 cup cooked quinoa to a bowl, then 1/2 cup veggies and sauce on top. Serve immediately. Feel free to add or remove veggies to suit your tastes! This recipe is very flexible and can be made how you like it! Interested in trying Imagine® Organic Culinary Simmer Sauces? You are in luck! Right now consumers can enter to win their own “Pan with a Plan” prize pack by entering the sweepstakes on Facebook. Sweepstakes will take place on the Imagine® Facebook page (Mid-October through November). Entry rules are detailed online. Forty Eight (48) winners will be selected over the 6-week promotion. Each week, eight (8) winners will be selected to receive a “Pan with a Plan” prize pack (includes a saucepan, four Imagine® Organic Culinary Simmer Sauces, and a $25 grocery Visa gift card).